Enter your dates to pick from 46 hotels and other places to stay! Set in a building dating from 1864 in Monte Carlo, Hôtel de Paris has a wine cellar and is located next to the Casino de Monaco. We love the comfort and luxury feeling of hotel de paris! Set in a palace in Monaco listed as an historic monument, Hôtel Hermitage is a luxurious five-star hotel featuring Belle-Époque décor just 656 feet from Monte-Carlo Casino. Everything, service was great. The pool area was great. The overall service was great. Hotel Metropole Monte-Carlo is located in the Carré d'Or in Monaco, less than 328 feet from the luxury boutiques and Casino Square. Immaculate hotel, truly a 5 star experience. We were treated like royalty and the staff could not do enough to make us feel special. The restaurant and food was amazing. Located on the Larvotto peninsula just 394 feet from the French border, Monte-Carlo Bay Hotel & Resort features 4 restaurants is surrounded by 4 hectares of gardens on the sea front. The Hotel was in one of the most exclusive and beautiful places in the south of France. The views were breathtaking and the Hotel was immaculate. One if the best values at booking.com ever !! Boasting a rooftop terrace offering views of the Circuit de Monaco, Fairmont Monte Carlo is a 4-star hotel set between the Mediterranean Sea and the Casino of Monte Carlo. The staff were friendly, welcoming and super efficient. The Safir Restaurant was excellent. The Nobu lifted Japanese cuisine to a level I have never experienced before this visit. Le Méridien Beach Plaza overlooks Monte Carlo and the Mediterranean Sea. The lovely breakfast, spectacular view and very friendly staff. It all made for a memorable stay. An extra special mention to the terrific In Room Dining team. Supremely pleasant and smiling people ! Hôtel de France is located less than a 10-minute walk from both the Prince’s Palace of Monaco and Port Hercules. It is entirely air-conditioned and offers modern rooms equipped with a flat-screen TV. The room was a bit small for three people. Lack of elevator in the property was another negative point. But beside that everything else was great. The location was gr8. The staff very friendly. Entirely renovated in 2018 and offering a seasonal outdoor swimming pool with a sun deck lined with palm trees, Hôtel Columbus Monte Carlo overlooks the Mediterranean Sea, the Princess Grace Rose... The location, it's really close to the italian restaurant amici miei (wonderful restaurant, good price and great environment), close to comercial center where we can find everything like carrefour, clothing store, bars, etc... The bed is big and confortable and the breakfast is great with a lot of options. 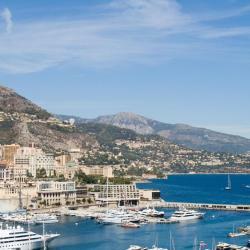 Located in Monaco, this elegant hotel offers guest rooms with free Wi-Fi access and a minibar. 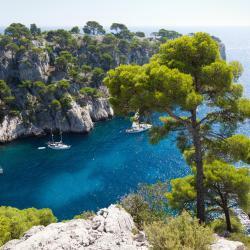 It is just half a mile from the Princely Palace and a 3-minute drive from Monte-Carlo Casino. Everything. Highlybrecommended. Great value for ordinary people!. Very reasonable process for food, with a good selection. Very central. Cpukdn’t expect more for the price paid which included breakfast. Better than many hotels in not so exclusive locations. Offering a terrace and garden view, The Princess Monac'home is located in Monte Carlo, 0.6 mi from Casino Monte Carlo and 1.5 mi from Prince's Palace of Monaco. The location of the place was the best part. It was walking distance from it all. And the bus system was super easy to use. The kitchen was equipped better than in any other place I've stayed in Europe. Andrea, the host, was responsive and attentive to all our needs (which weren't many). He even gave us a quick orientation tour regarding transportation, restaurants and points of interest. We look forward to staying here again. Within 1 mi of Casino Monte Carlo and 1.1 mi of Prince's Palace of Monaco, Le Cabanon de Monte-Carlo avec Jardin Privé provides free WiFi and a garden. The location was good. ther was a nice garden wich was the great thing. 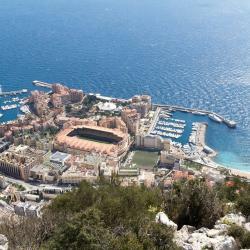 MONACO, PETITE RÊVE, VUE MER, a property with a terrace, is located in Monte Carlo, a 19-minute walk from Casino Monte Carlo, 1.1 miles from Prince's Palace of Monaco, as well as 1.6 miles from Saint... Perfect place ! Cozy and warm, the view from the balcony is stunning. In the evening you can admire the stars, in the morning to see the sunrise, it was unforgettable and unbelievable beautiful . The location is great, near the railway station, parking, we especially liked the elevator a couple of meters from the house, where you can go down to the embankment. The hosts were very kind and friendly. a special thanks for the rose and wine, it was so cute, since it was my birthday and international women's day. It was a wonderful time! looking forward to returning to this romantic place. 👍🏻😍 Very highly recommended! Monte Carlo Enjoy is located in the Monte Carlo City Centre district of Monte Carlo, 1.1 miles from Casino Monte Carlo and 1.2 miles from Prince's Palace of Monaco. The property has free WiFi. The apartment was in an excellent location. Close to the train station. Very spacious apartment, and nicely decorated. Located just 1640 feet from Casino Square in Monte-Carlo, Studio on the Outskirts of Monaco offers self-catering accommodations with cable Internet access. The host is welcoming flexible and very very kind and helpful. Thank you for everything. Beautiful apartment, excellent location. Located on the Monaco-France border just 2133 feet from the Monte-Carlo Casino and 2461 feet from the Monaco Monte-Carlo Train Station, Apartments Monaco features self-catering accommodations with... 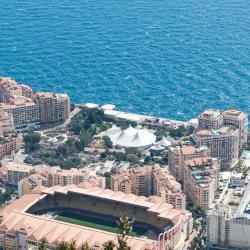 Very clean, close to Monte Carlo Casino and easy directions. Monaco elegant appartment offers accommodations in Monte Carlo, a 12-minute walk from Prince's Palace of Monaco. 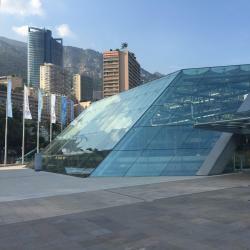 Offering a terrace, MONTE-CARLO 1 is located in the Monte Carlo City Centre district in Monte Carlo. Providing private parking, the apartment is 1.2 miles from Casino Monte Carlo.